Marken’s intensive project management approach means that your project moves seamlessly through the clinical trial process. 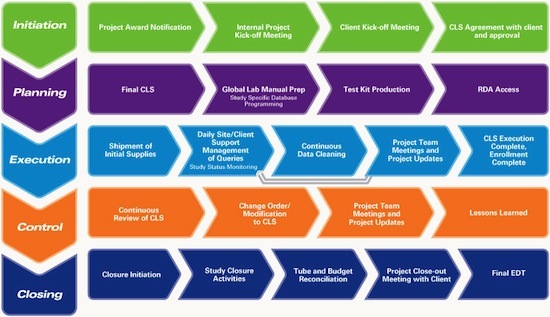 Every Marken customer has a single point of contact during the lifespan of their project: the Global Project Director. The Global Project Director provides global oversight of trials run and is tasked with the overall satisfaction of Marken’s performance across all trials. Additionally, each project has a Regional Project Leader, who manages day-to-day study activities and progress reporting.